E-commerce has truly changed the way people shop. 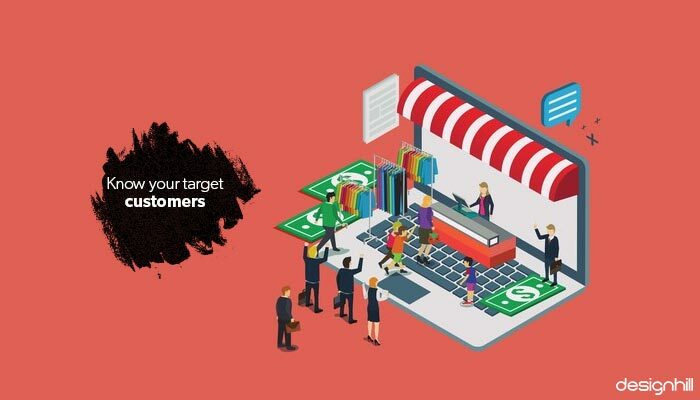 We’ve seen the trends switching to online shopping since 2010, and it has no signs of stopping — nowadays, e-commerce site and physical stores are even hand-in-hand when it comes to marketing and making sales for the business. eMarketer’s new report on e-commerce has statistically proved how illustrious the industry has been. With estimates of $27 trillion in sales this 2020, there’s no doubt thate-commerce remains an effective medium of sales, even if annual growth rates may slow down in the next few years. 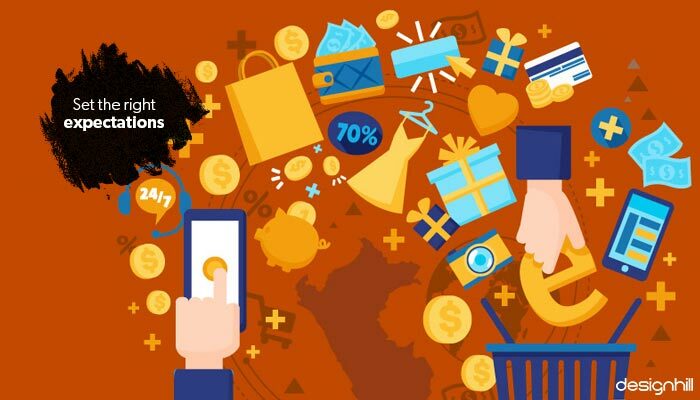 Despite the exciting statistics on how e-commerce is thriving, there are still around 80% of businesses failing in just a span of 18 months. The opportunity may be great, but due to the competitiveness of businesses online, being successful in garnering sales or converting visitors to customers can be nil. How do you separate yourself from the thousands of e-commerce stores that sell the same product as you do? How can you stand out from your competitors to attract continuous sales? Running a paid campaign is an easy, although expensive step that can directly serve your products in front of your target customers. However, marketing your products on your website design is another story. You cannot rely on paid efforts to continuously market your products, else be prepared to spend more than earn more. Social media is the ultimate platform to engage people to market your products. Aside from converting through organic traffic, social media is a special arm that delivers your message appropriately across its various channels but to drive maximum engagement from these channels you need compelling content coupled with attention grabbing graphic designs. If you’ve been paying extra attention to how marketers have been promoting their brands, you’ll see a significant change in how they deliver their messages online — brands nowadays tell stories on how their products have changed the world. This is not your ordinary bedtime story; Nike, GoPro, Uber, and Airbnb are the quintessential examples of great storytellers in social media. You’ve seen their commercials, you’ve seen their advertisements. Storytelling has indeed engaged more people as it inspired them to use their product or services to emulate the same feeling that they had when they saw their ad. How can you do the same thing for your business? What can you do earn your target market’s attention? This seems to be a no-brainer advice, but it is important to understand what your product is all about. You might have been upselling the wrong qualities or you might have overlooked other features that can attract your potential customers. How can you create a compelling story if you’re sharing the wrong information, or if you’re not stimulating the interests of your target audience? Here are some tips on how to understand your product well. Research all the information about your product. Go back to the basics and research on how can you market your product properly. For example, if you’re selling low-end durable work shoes, this moves you to market your products to blue-collared workers. If your product is hip, trendy, and colorful, you should create a campaign that reflects the same vibrancy. Is your product a relic of the past? People love and dig nostalgia. With these scenarios, we hope you have already created a sensible plot to start with your story. Make sure that it answers all the needs and questions of a buyer. Dollar Shave Club has made a striking difference in the field of “manscaping”, as they call it. They came into a highly competitive market, but they changed how ordinary men consumers think and feel towards shaving. DSC made shaving and pampering oneself a subscription-based model, giving birth to a new type of consumerism. Subscribing to their club doesn’t even cost an arm and a leg; their products can even match the quality of high-end razors that are too expensive to purchase. Make use of the product review to validate a product description. Use product reviews that clearly describe or comment how your product works accordingly. Product reviews can be considered as another form of word-of-mouth marketing. 88% of consumers trust online reviews similar to how they trust personal recommendations. It’s a terrible mistake to be misinformed about your own product, let alone failing to recognize how to deliver information to the right target market. Think how to market your product properly without going overboard. Create the right product description by addressing the consumer’s problem. Knowing your target audience helps in writing the right product description for your products. If you’re selling ladies’ lingerie, you’re targeting women of different demographics, of different needs. Depending if they’re looking for comfort or design, choose your words wisely. On the other hand, your products may appeal to a variety of audiences. Make sure that you segment each product under its proper product category. That way, it’ll be easier for you to target the right audience for a specific product group. 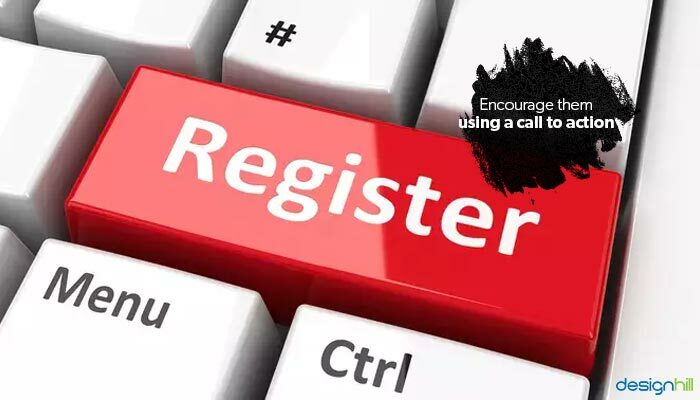 Encouraging people by using a call to action can be challenging, since catching their attention is the main obstacle that they have to face first. If they succeed in attracting their target audience, a call to action will surely push these visitors down the funnel. Your call to action is the key to close the deal. It has to be authoritative and strong. It doesn’t have to be a big button screaming, “Buy Me”, but it could be a phrase or a catchy phrase that locks the deal. Put customers first – Put them first and foremost. Your stories should put them in the shoes of the main idea in the story. Let your customers feel that they own the brand, that they are part of what makes it whole. 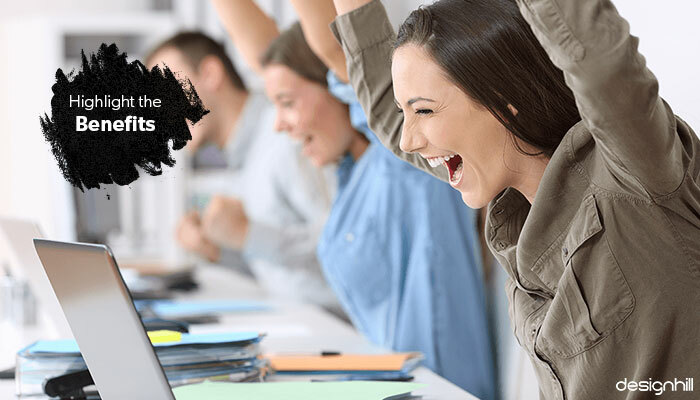 Go straight to the point – Witty commercials do leave a mark, but in the couple of minutes that we have in promoting your product, it’s more necessary to get straight to the point. No need to shower them with praise and appreciation; focus on your message.There’s a lot that can happen in 60 seconds online, so make the most out of your chance to turn a visitor into a customer, or risk an abandoned purchase. Use images – Text-laden presentations are too boring; go for catchy and well-designed images that display your products in the best possible way. Make sure you have a good graphic designer in place for that. Tickle my fancy – Humor is an attractive trait and is also attractive in telling stories. Great timing in pitching a joke can indeed attract your prospect more, but overdoing it is too much. Setting the right expectations for your products lets people anticipate what to expect and what not to expect with their products. Along with its features, you can add a disclaimer part or explain why people shouldn’t use it for other purposes. Of course, when creating your product’s story, highlight its benefits. Specifically, build around the premise that your product is the solution to your consumer’s problems. Customers always ask for benefits or distinctive features that they like. Whenever there’s a new iPhone version, we are enthralled by its features, not because it’s new, but the way that it was presented has stricken us. It’s not just a vague list of products in a table. They narrate its features; their product copy aims to convince you to own such a luxurious phone because of its simply the most powerful and smartest phone in the world. If you’d notice, they didn’t need to say much about their phones, but it has attracted a lot of buyers worldwide, with now over 700 million users in the world in 2017. 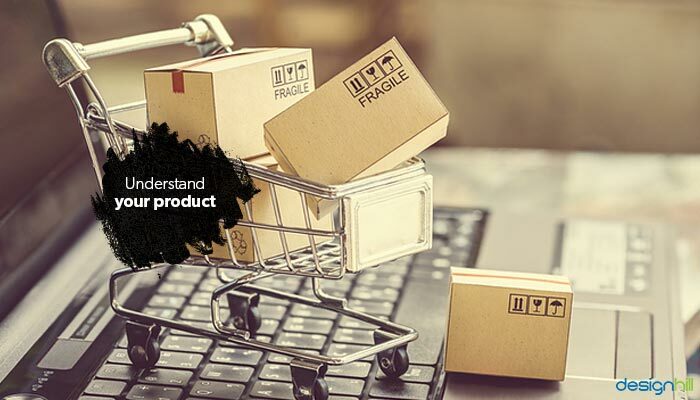 While it is important to create a relevant product description to go with your product’s story, it’s still beneficial for your website to incorporate keywords in its copy to make it visible in search engines. It’s not enough that you purely rely on social media or just one channel to improve your marketing efforts. Optimizing your product copy with intelligently incorporation keywords can also help you gain footing in organic search. Think of it as a long-term investment with long-term returns. Social media can only contribute so much, as long as you keep your ideas fresh, but the demand of people looking for products in search engines continuously rises and has no signs of faltering. People don’t just buy right off the bat through social media; they may have multiple touchpoints before converting, so optimizing for organic search can help you cover more ground for conversion. 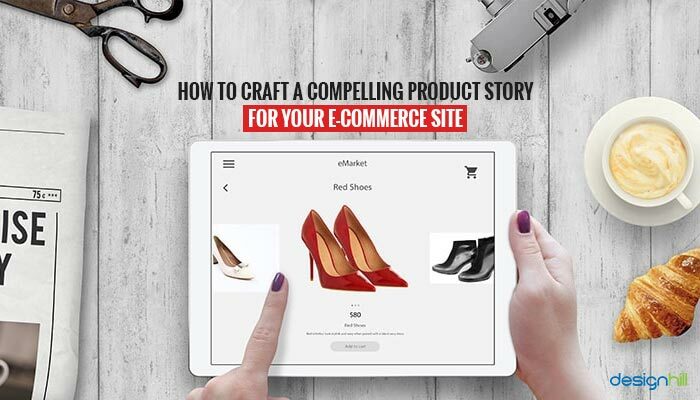 A compelling product story can help build your e-commerce site, not only through sales but also with your branding efforts.Connecting with your target market is important to shake your competitors off and stand triumphant in your chosen industry. Previous Previous post: Single Or Multiple Letter Logo Design- Which Is Better For Your Business?